Aslackby lies in the Aslackby sub-district of the Bourne Registration District. You can also perform a more selective search for churches in the Aslackby area or see them printed on a map. The Knights Templer had a round church here (circa 1194) portions of which existed until about 1800. The Anglican parish church is dedicated to Saint James the Great. The church dates from around 1300. Richard CROFT has a photograph of St. James' Church on Geo-graph, taken in December, 2005. The Anglican parish registers exist from 1558. We have only a handful of entries in our Parish Register extract file. Your additions would be welcomed. The LFHS has published several indexes for the Aveland and Ness Deanery to make your search easier. The Wesleyan Methodists had a small chapel built in 1863. The Baptists built theirs in 1872. For information and assistance in researching these chapels, see our non-conformist religions page. The parish was in the Aslackby sub-district of the Bourne Registration District. 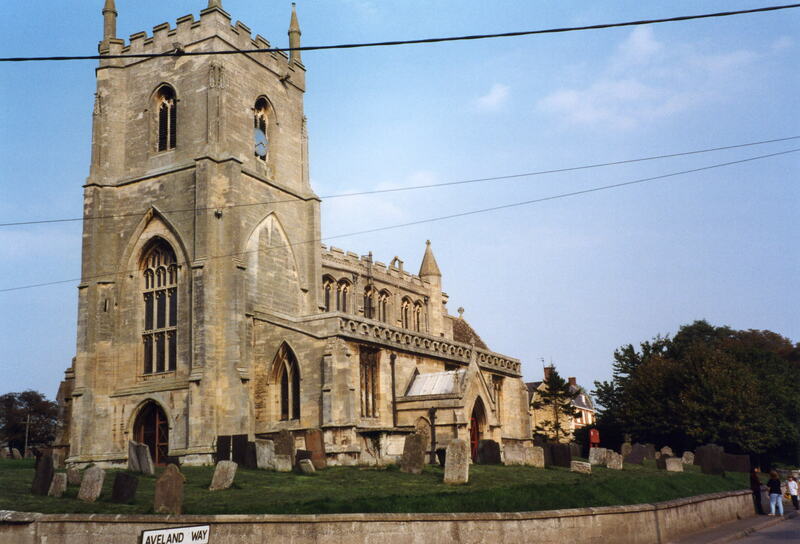 This village and parish lies between Bourne and Sleaford on the A15 trunk road, 104 miles north of the city of London. Kirkby Underwood parish lies to the south and Folkingham is 2.5 miles to the north. Rippingale parish lies to the south-east. The parish used to include the hamlets of West Graby (or Grayby) & Millthorpe (or Milnthorpe). The parish covers over 3,900 acres of land. Roger CALLOW has an aerial photograph of Aslackby village on Geo-graph, taken in September, 2006. By automobile, the village is just north of Bourne off of the A15 trunk road. See our touring page for area resources. Ask for a calculation of the distance from Aslackby to another place. You can see the administrative areas in which Aslackby has been placed at times in the past. Select one to see a link to a map of that particular area. The parish once had a castle, now long gone, and once was home to the Knights Templar. Temple Farm south-west of the village is another remnant of the Knights Templar. Also near the village is an ancient entrenchment called Aveland, for which the wapentake is reputedly named. Here the Thane kept court in Saxon and Danish times. Richard CROFT has a photograph of the Robin Hood and Little John Public House on Geo-graph, taken in November, 2006. Robert HARVEY also has a photograph of Robin Hood and Little John Pub. on Geo-graph, taken in January, 2016. 1856 Joseph Thos. SEATON, gardener & vict. Richard WADSLEY, above, was born in Horbling, LIN, around 1833. His wife, Betsey (Betsy) was born in Dunsby, LIN, a year earlier. James HOLLINGSHEAD, above, was born in Grimstone, LEI, circa 1812. His wife, Mary, was born in Arnold, LIN, circa 1822. They had at least six children, all born in Grantham, LIN. Aslackby Manor House was the residence of Anthony DALE during the period from 1850 to 1870. Rex NEEDLE has a photograph of the Manor House on Geo-graph, taken in July, 2000. The clock on the church tower is a memorial to the men of the parish who fell in World War I. It was added in 1920. Robert HARVEY has a photograph of the Clock Memorial on Geo-graph, taken in November, 2015. Tony HIBBERD has a photograph of the top of the WWII War Memorial on Geo-graph, taken in April, 2013. For a photograph of the Aslackby War Memorial and a list of the names on the plaque, see the Roll of Honour site. In the 1086 Domesday Book, the village name is rendered as Aslachebi, from the Old Scandinavian Aslakr+by meaning "village of a man called Aslakr". Locals pronounce the name of the village as Azelby or Aiselbee. Others pronounce the name of the village as As ulk bee or Ais ul bi. Anne COLE reports finding the name of the village as Asleby on a marriage bond. The parish was in the ancient Aveland Wapentake in the South Kesteven district in the parts of Kesteven. You may contact the local Parish Council about political issues, but they are NOT staffed to answer family history questions. For today's district governance, contact the South Kesteven District Council. The Civil Parish was abolished in 1936 as part of a government re-organisation and merged with Laughton Civil Parish. Bastardy cases would be heard in the Bourne petty session hearings. After the 1834 Poor Law Amendment Act reforms, the parish became a part of the Bourne Poor Law Union. The children of the parish went to school built here in 1850. In 1911, about 50 children attended the school.